Access every published issue of balsabuilder Magazine online! The BBM Digital Editions Membership is an annual online service that grants program members exclusive access to all published issues of balsabuilder Magazine (back issues and future publications**). Members of this program will be able to browse every published issue of Balsa Builder Magazine direct from the balsabuilder.com website. Digital editions of balsabuilder Magazine are presented in an easy to navigate viewer and are compatible with most popular desktop and tablet browsers. Membership in the BBM Digital Edition program grants digital viewing and printing permissions for your favorite excerpts direct from the balsabuilder.com website (internet access required). This digital service is available stand-alone or as an add-on to your print subscription. This membership grants online viewing access to all current, future, and back-issues of balsabuilder Magazine through the balsabuilder.com web site. 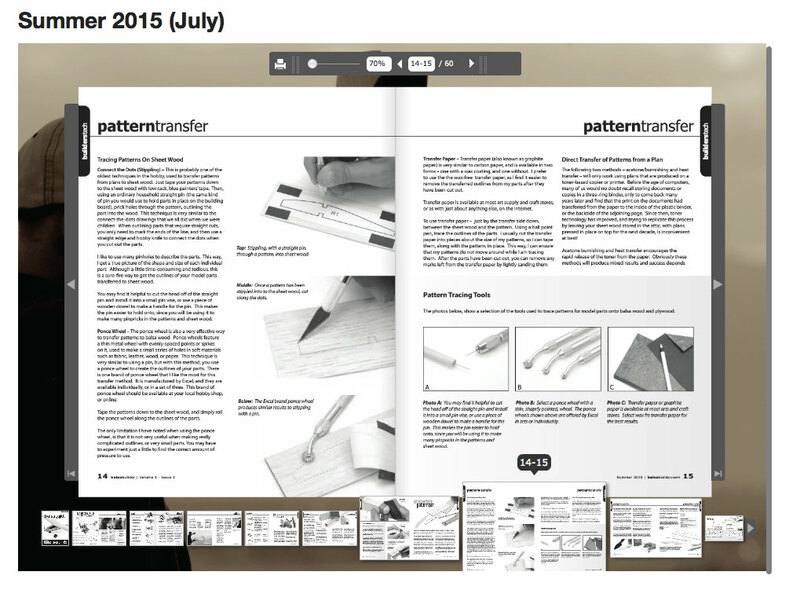 Print selected pages of your favorite articles using our desktop viewer. 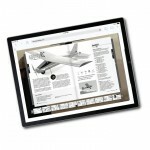 This rich interactive experience is compatible with most popular desktop and tablet devices. Convenient annual billing $40.00 only 20 USD! *does not include featured plans. **no guarantee of publication frequency or future publication is offered with this service. See our terms and conditions for more details. This is what I’ve been looking for! I’m in a perpetual process of building planes, about 1 a month and im always looking for kits and ideas so this mag is wonderfully masterful. I look almost every morning to see if the new issue is out both through digital script and the mailbox. Buy large kits is relatively expensive so to get free plans for large planes is great. Thanks for your comments William. The new issue is shipping this month! We hope you continue to enjoy the magazine.